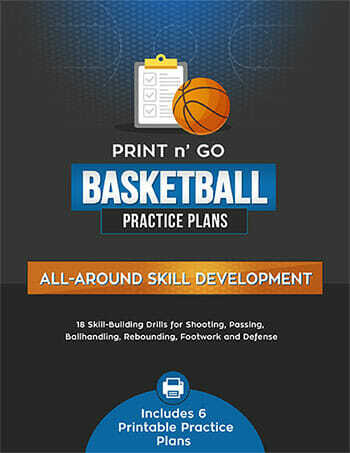 Many coaches struggle with coming up with fresh ideas for [tag]basketball shooting drills[/tag]. Here is one suggestion for a [tag]basketball shooting clinic[/tag] that was sent to me recently. 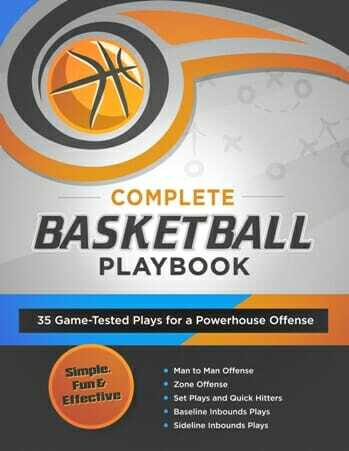 We have a basketball free throw drill that we like to use. 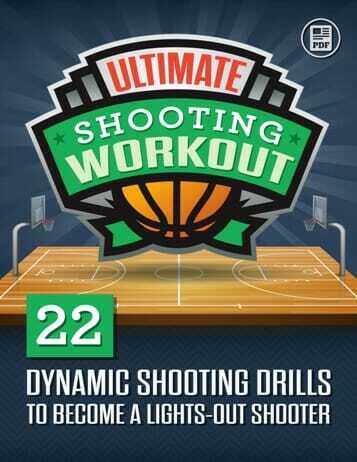 It works on rebounding, conditioning and pressure free throw [tag]basketball[/tag] shooting. This [tag]basketball drill[/tag] is called One and One. Five guys line up, four on the free throw lane and one shooting free throws. The player starts off with a one and one free throw situation. The first shot is worth two points and the second is worth one point. The player continues to shoot until he misses, keeping track of the points scored. If he misses the first shot of a one and one he takes off and sprints four full court lengths or if he misses the second shot he sprints two full court shots. On the miss the person that gets the rebound now becomes the free throw shooter and play continues as the one that misses runs his sprints. As soon as he finishes his sprints he becomes a rebounder with the other three. Play continues until someone scores 10 points. 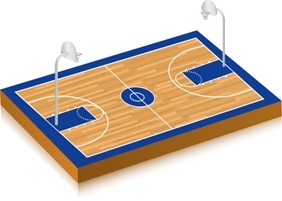 After someone scores 10 points the other four have to sprint the number of full court sprints that they are short of 10 points.